GW Electrical won this fiercely contested battle, which started off explosively with both teams fighting hard. Brilliant defensive work from both ends of the court saw very few goals being scored throughout the match. 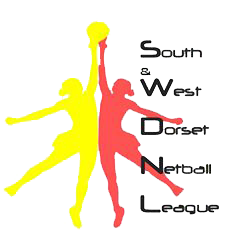 Girling showed skill in moving the ball down the court, with superb movement from C Izzie Taylor, but GW Electrical’s defensive duo of Caroline Goode (GD) and Laura Osbourne (GK) put immense pressure on Girling’s shooters, preventing them from adding much needed points. The teams remained evenly matched throughout but GW’s experience slowly started to shine through, helping them carve out a four-goal lead going into the final period. GW did well to maintain their focus through the last quarter, despite Girling’s best effort to win back points. TOP-FLIGHT stalwarts, New Body Fitness, showcased their supreme skill in this match-up. Poachers worked hard to gain turnover balls, with GK Helen Norcombe gathering up rebounds and sending them back towards her shooters. New Body worked seamlessly to rack up the goals, with C Charlie Naerger, and GA Katherine Wilberforce, displaying phenomenal work ethic and agility, creating space and working the ball fluidly down the court. Poachers remained determined through the match, showing spectacular skill in moving the ball around their goal circle and trying to limit New Body’s goalscoring opportunities with great defensive play. New Body’s fine form, however, proved impossible to derail as they steamed ahead to victory. WATERSIDE started well, with some graceful passages of play, converted into goals by GS Susan Lee. Wetherspoons GD Lauren Banks valiantly collected rebounds and sent them back down the court for her team. Both teams worked well throughout the match, with strong, direct passes through the centre court. Waterside’s WA Sue Stevens and WD Sarah Breaks moved fluidly through the court, creating space and expertly moving the ball towards their shooters. Equally, Wetherspoons C Sarah Garmin displayed skill and dynamic movement across the mid-court. Wetherspoons found their stride in the third quarter, gaining frequent possession of the ball but weren’t able to decrease Waterside’s lead. The final quarter saw tactical changes for both teams and some jaw droopingly accurate long distance goals from Wetherspoons GA Lynsey Gardner, but it was not enough to claw back the lead and Waterside walked away with a convincing win. BAY Fencing claimed the points after a strong start and excellent shooting from GA Chantelle Halloran. Bay’s defence also showed great determination, with GD Charlotte Newman working tirelessly to turnover balls. Stika took their time to settle but once they got their rhythm they stepped up the pace and dynamic play from C Lauren Robertson and WA Keri Billin helped their team grab some late goals and step into the lead. Excellent offensive and defensive play from both teams kept the game close. Bay managed some great interceptions and converted these into points. The third quarter saw Bay really step up the pace, increasing the pressure on Stika. Towards the end of this period, Bay started to pull ahead. The final chapter of this evenly-matched game saw Bay’s defence continue to shut down Stika’s attacking players. Stika’s defence also worked hard to limit Bay’s opportunities to score and Bay’s shooters had to work extremely hard in the circle to get decent scoring position. Both teams displayed excellent team-work and determination but ultimately, it was Bay who walked away with the win.